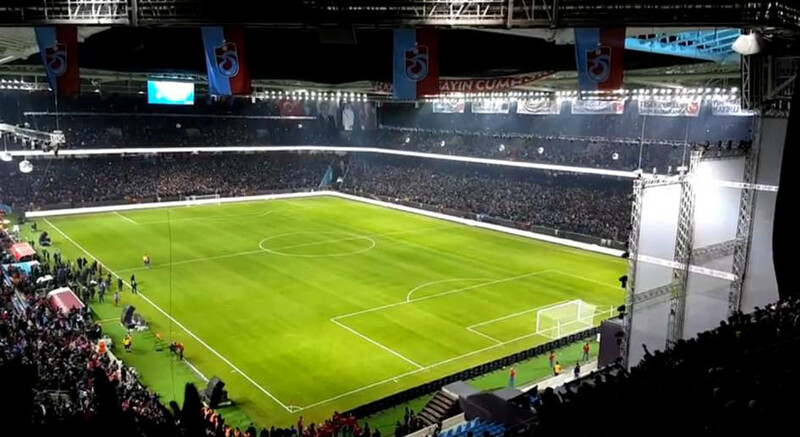 Medical Park Arena, also known as Senol Günes Stadium and Akyazi Stadium, is the recently opened new home of Trabzonspor. It replaced their previous stadium Hüseyin Avni Aker Stadyumu, which could not meet the required standards of modern time. Building works started in 2013 and, with a little delay, were completed towards the end of 2016. The Medical Park Arena officially opened on 18 December 2016 with an inauguration ceremony and exhibition match with Trabzonspor legends. The first official match, a league match between Trabzonspor and Gaziantepspor (4-0), was played on 29 January 2017. Following the official opening, the official name of the stadium was revealed as Senol Günes Kompleksi, but a month later a sponsorship deal was announced resulting in the name Medical Park Arena. Medical Park Arena was built on a piece of artificially created land on the shore of the Black Sea in the Ayazi area west of the city of Trabzon. The stadium is located roughly 8 kilometres west of Ataturk Square in Trabzon’s city centre. The airport and bus station, located east of the city, lies respectively 13 and 10 kilometres away. Tickets for Trabzonspor games can be bought online through the PASSO portal. As with all matches in Turkey, you need to have a Passolig card to be able to buy tickets and enter the stadium. In the case of foreigners this is a pre-paid card. You can apply for a card on the Passolig website. Trabzonspor.org.tr – Official website of Trabzonspor.